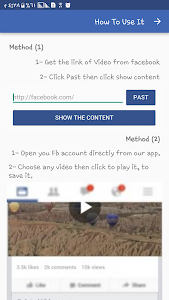 This application allows you to browse through your Facebook account, feed your news and your friends / pages walls using a built-in browser that allows you to select the video you want to download and save so you can watch it later and share with your friends across different apps. 1. 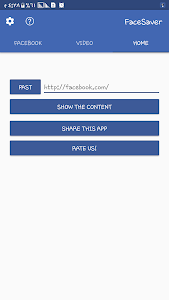 Open your Facebook account directly from our app. 2. Select any video, click to play it, and then save it. 2. Safe and light weight. 3. Lets you save your videos for later viewing. 5. Add a sound clip to video. 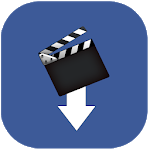 Install the video download for Facebook and start downloading video files from Facebook now! - This app does not belong to the official Facebook network. - Any unauthorized reloading or uploading of content and / or violations of intellectual property rights rests with the user alone. 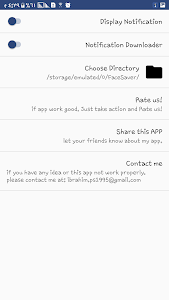 - This app works for Facebook only. Similar to "Video Downloader for Facebook - VDF"